Chinese shares climbed on Monday after a week-long break as a disappointing survey on the country’s service sector did little to dent optimism on global growth, while political uncertainty caused turbulence for the Turkish and British currencies. Liquidity was lacking with Japan and South Korea on holiday and a partial holiday in the United States. where stocks will be open but bonds will be closed. That helped offset a fall in the Caixin index of service sector activity to a 21-month trough of 50.6 in September, a contrast to healthier numbers in manufacturing. Spreadbetters also pointed to opening gains for most major European bourses. Australian stocks still managed to put on 0.5 percent, while Nikkei futures added 0.1 percent even though the cash market was shut. Annual growth in average hourly earnings accelerated to a relatively rapid 2.9 percent in September, outweighing a 33,000 drop in nonfarm payrolls. The pick-up in wages boosted already high expectations that the U.S. central bank will raise rates at its December meeting, and that further hikes are likely in 2018. Minutes of the Federal Reserve’s last meeting are due on Wednesday and may well show enough support for a move by year-end. A host of Fed speeches are also due this week. The pound had popped higher on reports British Prime Minister Theresa May could sack Foreign Secretary Boris Johnson as she tries to reassert her authority after a series of political disasters. Sterling had been undermined by speculation that May herself could be ousted ahead of crucial Brexit talks between Britain and the EU. The initial spike could not be maintained, however, and the pound soon steadied around $1.3090. The dollar held steady against the yen on Monday, having retreated from 12-week highs set last week, due to renewed focus on geopolitical risks amid concerns that North Korea may be preparing another missile test. North Korea is preparing to test a long-range missile, which it believes can reach the west coast of the United States, a Russian lawmaker who had returned from a visit to Pyongyang was quoted by Russia’s RIA news agency as saying on Friday. The renewed focus on geopolitical tensions helped lend support to the safe haven yen, and helped pull the dollar down from its post-U.S. jobs data highs. On Friday, the dollar was already in retreat due to profit-taking, when the North Korea-related headlines reached the market, exacerbating the greenback’s drop, said Stephen Innes, head of trading in Asia-Pacific for Oanda in Singapore. Since Japan is the world’s largest net creditor nation, traders assume Japanese repatriation from foreign countries will eclipse foreign investors’ selling of Japanese assets during times of heightened economic uncertainty. This means the yen has continued to behave as a safe-haven currency despite Japan’s geographical proximity to North Korea. The wage data from the U.S. September labor market report was seen as a sign of potentially improving inflation and gave the dollar a lift, as it bolstered expectations for the Federal Reserve to raise interest rates again in December. Oil prices edged up on Monday, after a 2 percent slide on Friday, on expectations that Saudi Arabia would continue to restrain its output in order to support prices, and as the amount of rigs drilling for new oil in the United States dipped. Oil ports, producers and refiners in Louisiana, Mississippi and Alabama, which shut facilities ahead of Hurricane Nate, were planning to reopen on Monday as the storm moved inland, away from most energy infrastructure on the U.S. Gulf Coast. Oil tumbled by around 2 percent on Friday, with WTI dipping back below $50 per barrel, as concerns of overproduction re-surfaced. But analysts said on Monday that a Saudi Arabian commitment to support the market by restraining output would prevent crude from falling further. State-owned oil giant Saudi Aramco is planning to float around 5 percent of the firm in an initial public offering next year. A reported cut in the number of U.S. oil rigs drilling for new production provided some price support. The oil rig count fell by two to 748 in the week to Oct 6, General Electric Co’s Baker Hughes energy services firm said in its closely followed report on Friday. Trading activity was low on Monday due to the Columbus Day federal holiday in the United States though markets are open. As a sign of the more positive sentiment in the market, hedge funds and money managers raised their bullish bets on U.S. crude futures for the third week in a row, the U.S. Commodity Futures Trading Commission reported on Friday. The speculator group raised its combined futures and options position in WTI on the NYMEX and ICE markets by 3,211 contracts to 288,766 in the week to Oct. 3, its highest since mid-August, the data showed. Gold on Friday made its intraday high of US$1276.46/oz and low of US$1260.47/oz. Gold was down by 0.664% at US$1276.27/oz. Based on the charts and explanations above; sell below 1288-1320 keeping stop loss closing above 1320 and targeting 1279-1273 and 1263-1253-1243. Buy above 1279-1243 with risk below 1243, targeting 1288-1294 and 1300-1311. Silver on Friday made its intraday high of US$16.84/oz and low of US$16.31/oz. Silver settled up by 1.44% at US$16.80/oz. Crude Oil on Friday made an intra‐day high of US$50.80/bbl, intraday low of US$49.08/bbl and settled down by 3.05% to close at US$49.20/bbl. Based on the charts and explanations above; sell below 50.10-53.00 with stop loss at 53.00; targeting and 49.00- 47.80 and 47.05-46.50. Buy above 49.00-46.50 with risk daily closing below 46.50 and targeting 50.10-51.00 and 52.00-52.50-53.00. EUR/USD on Friday made an intraday low of US$1.1668/EUR, high of US$1.1738/EUR and settled the day up by 0.213% to close at US$1.1734/EUR. Based on the charts and explanations above; sell below 1.1770-1.1925 targeting 1.1700-1.1660-1.1610 and 1.1555-1.1500 with stop-loss at daily closing above 1.1925. Buy above 1.1700-1.1550 with risk below 1.1500 targeting 1.1770-1.1825 and 1.1875-1.1930. GBP/USD on Friday made an intra‐day low of US$1.3026/GBP, high of US$1.3120/GBP and settled the day by down by 0.396% to close at US$1.3065/GBP. Based on the charts and explanations above; short positions below 1.3150-1.3300 with targets at 1.3100-1.3020-1.2935 and 1.2840-1.2770. 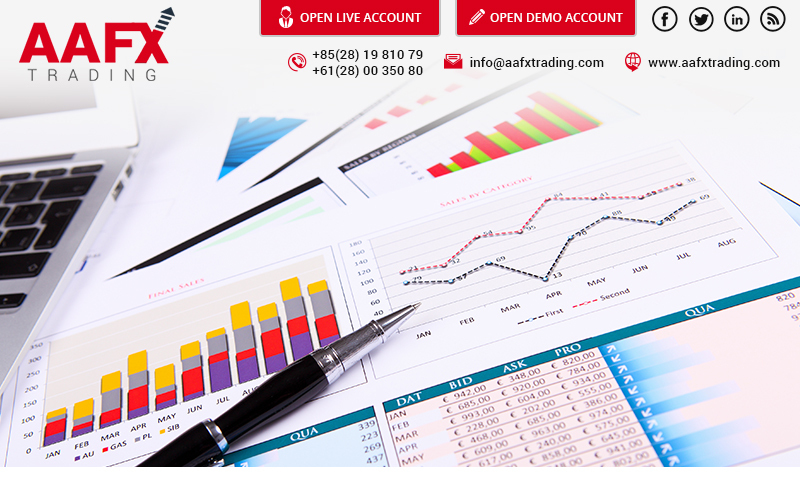 Buy above 1.3100-1.2770 with stop loss closing below 1.2750 targeting 1.3150-1.3200 and 1.3260-1.3300. USD/JPY on Friday made intra‐day low of JPY112.59/USD and made an intraday high of JPY113.54/USD and settled the day down by 0.1684% at JPY112.61/USD.